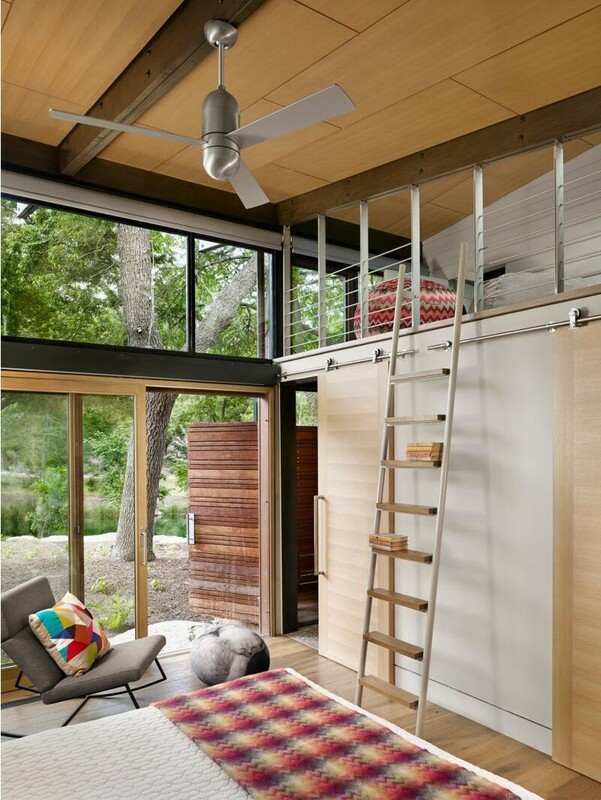 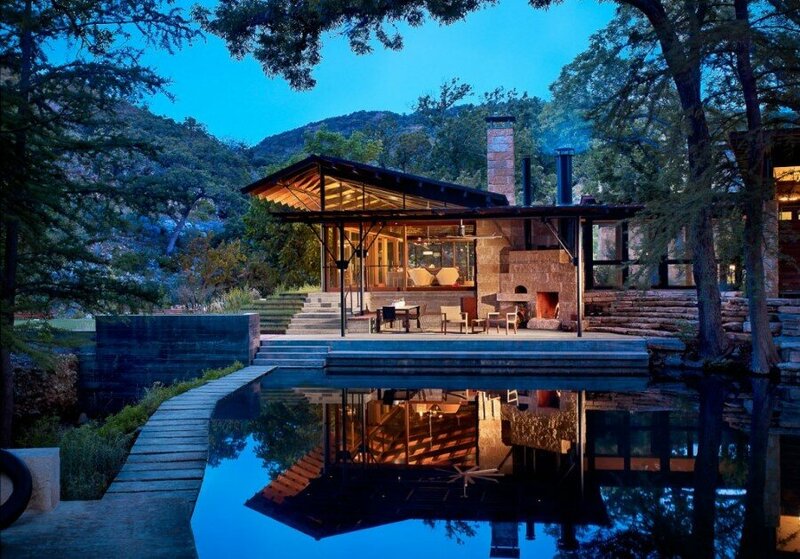 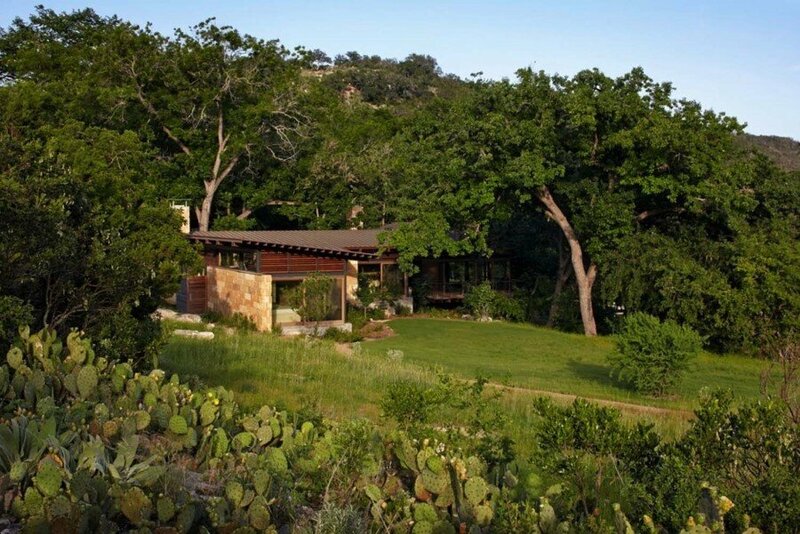 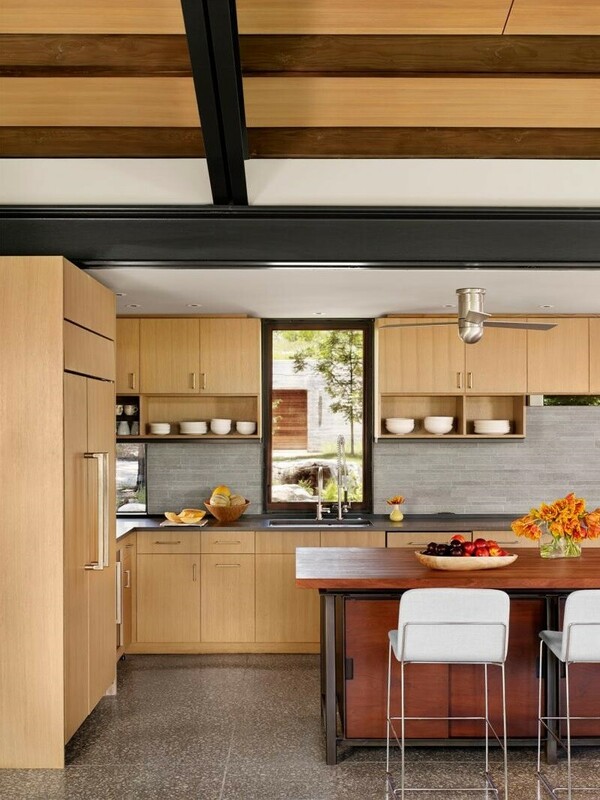 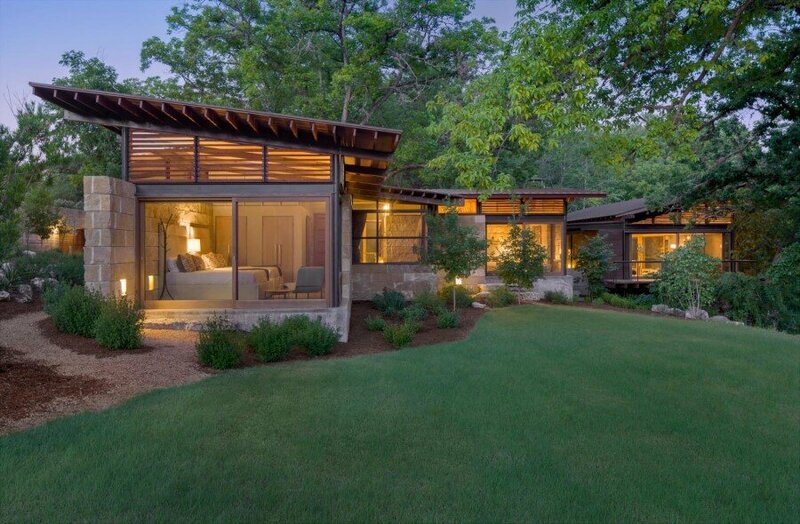 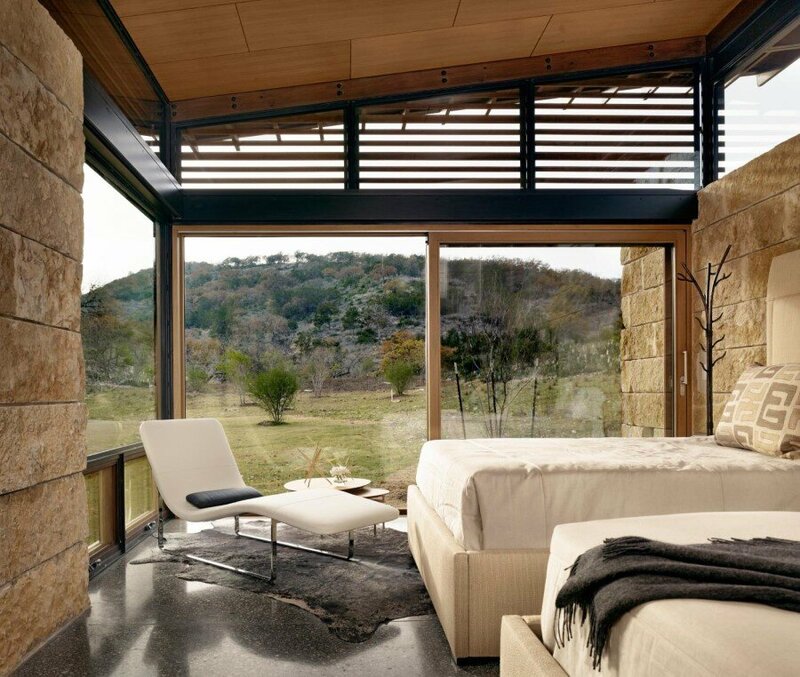 Mill Springs Ranch is a modern ranch house designed by Lake Flato Architects, located in Vanderpool, Texas. 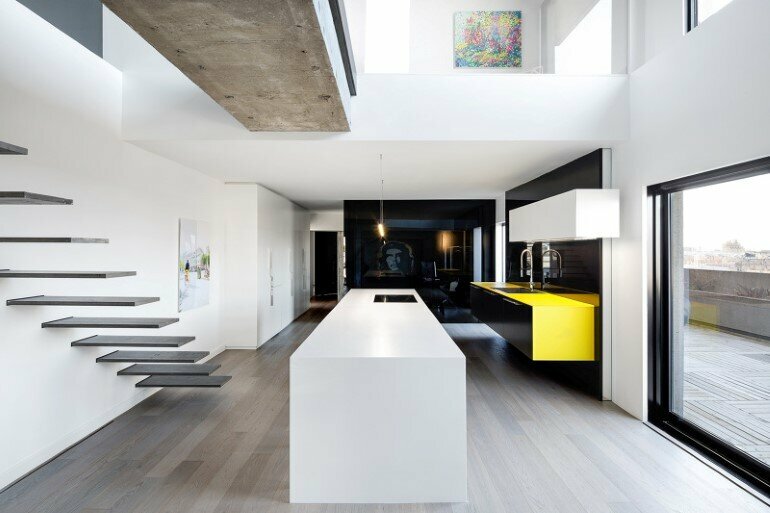 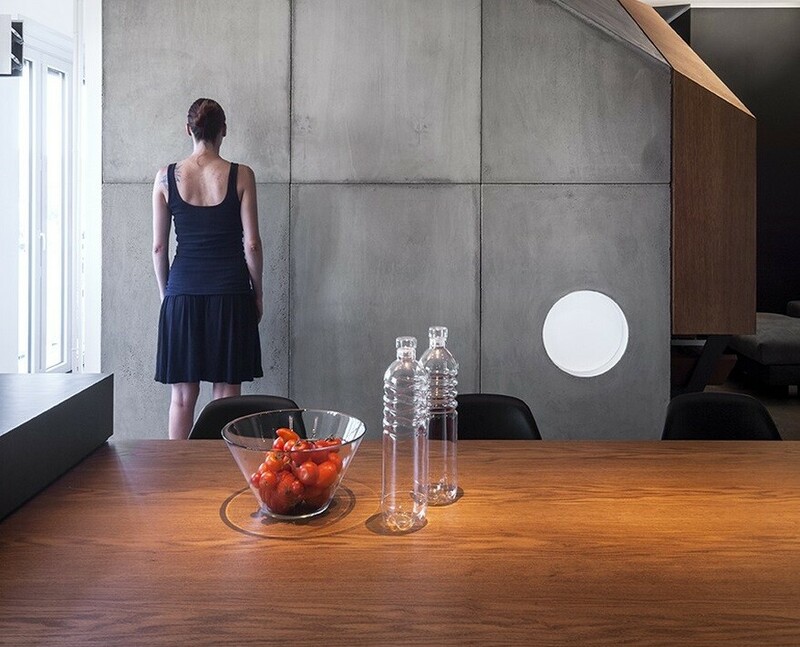 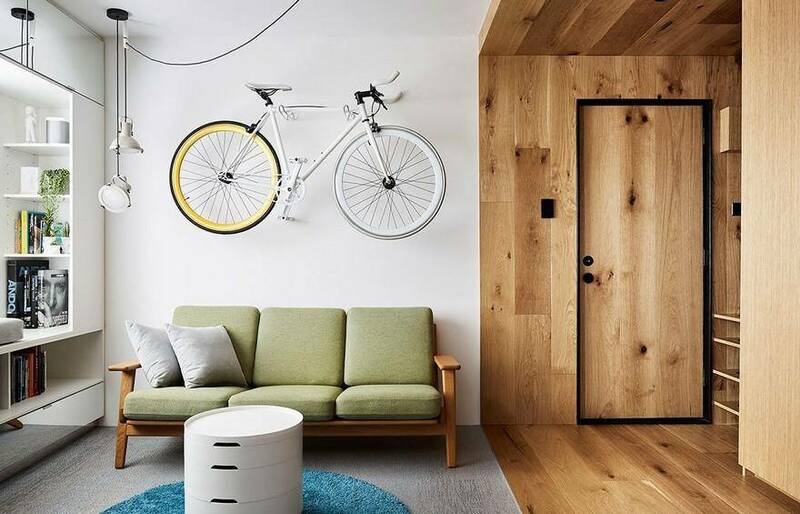 The interior design was conceived by Poët Interiors. 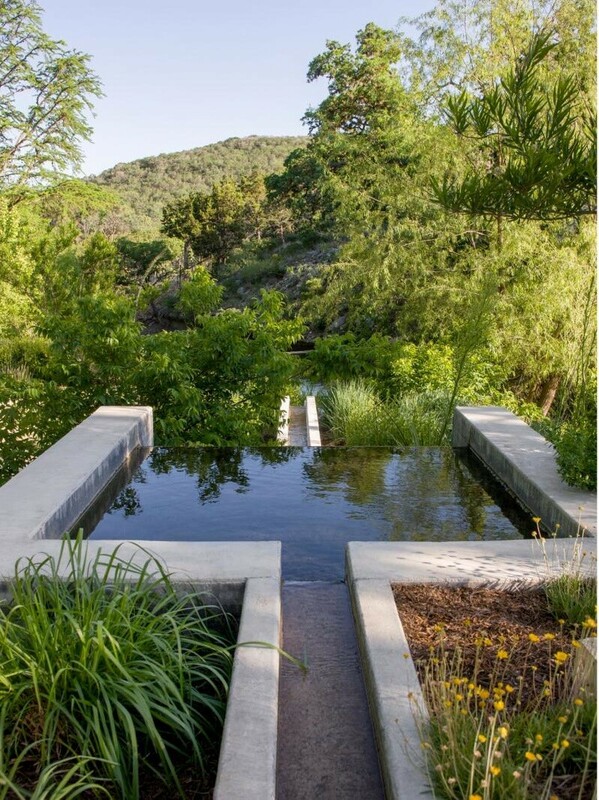 Nestled at the confluence of two creeks on a Texas Hill Country Ranch, Mill Springs Homestead provides a water’s edge retreat. 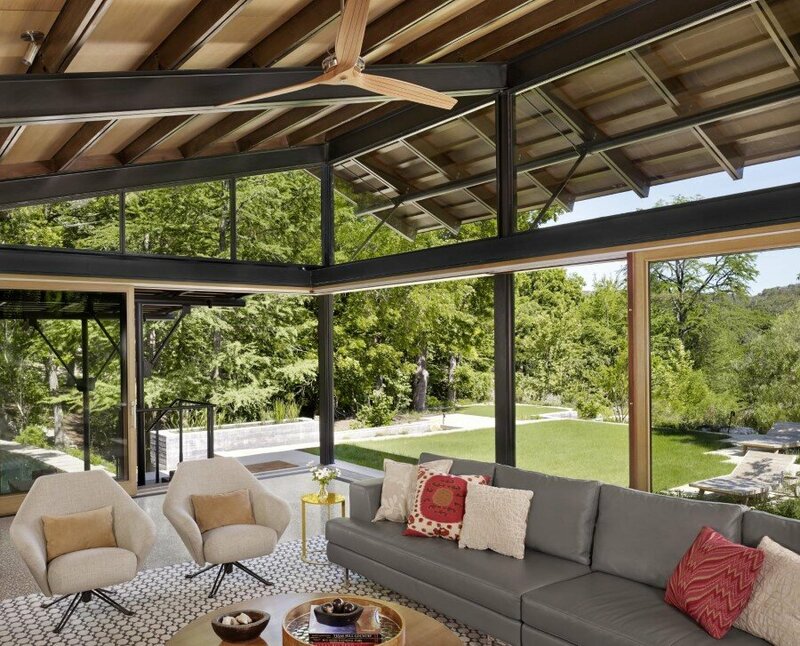 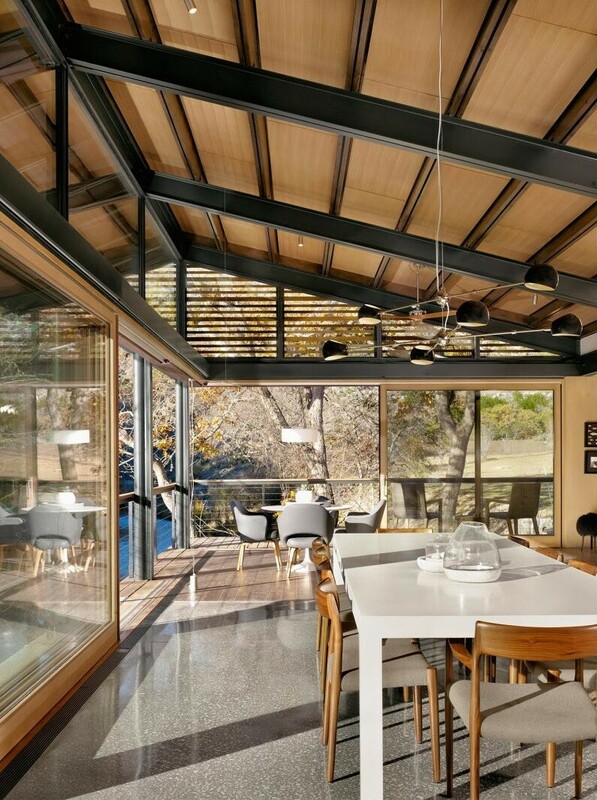 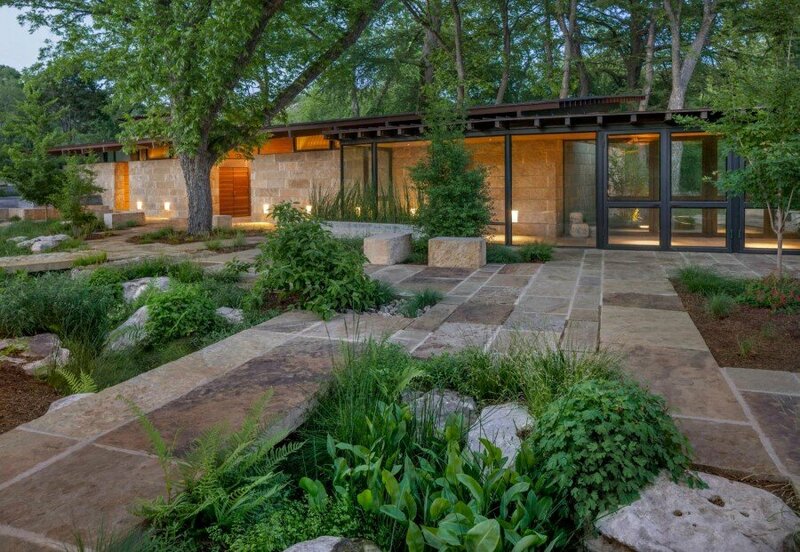 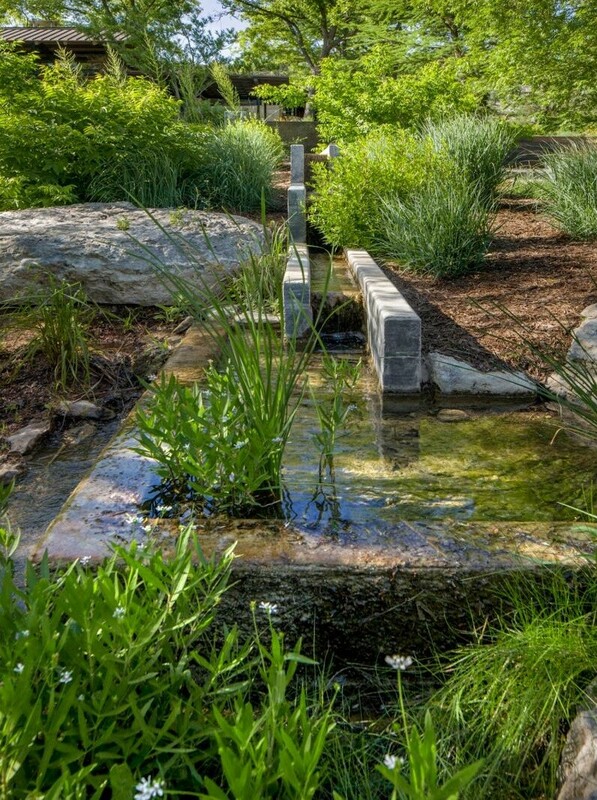 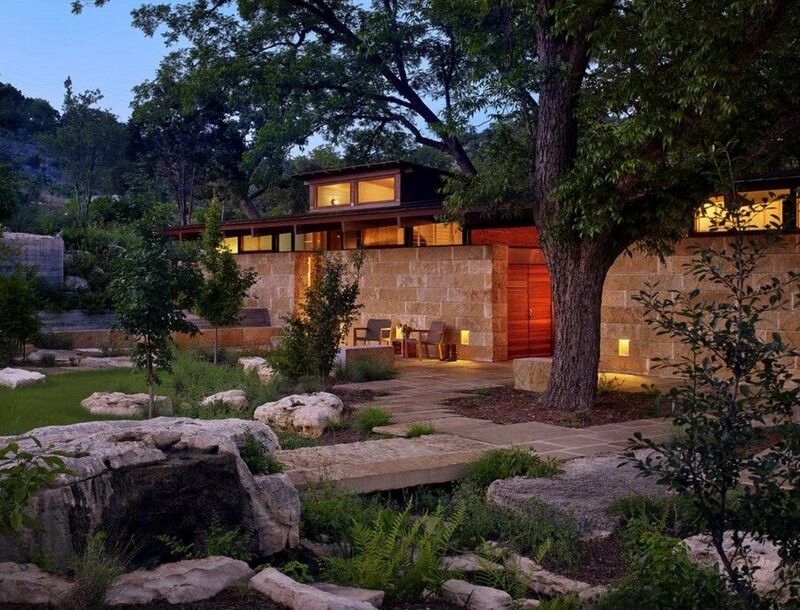 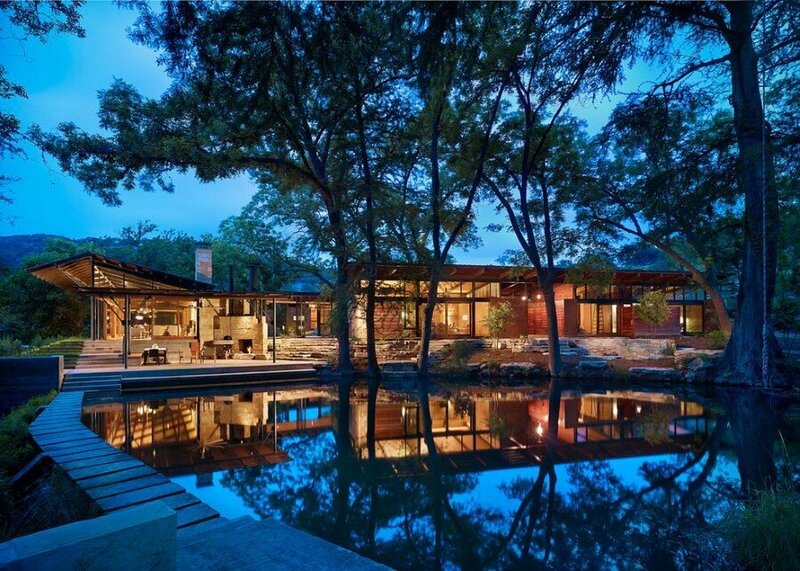 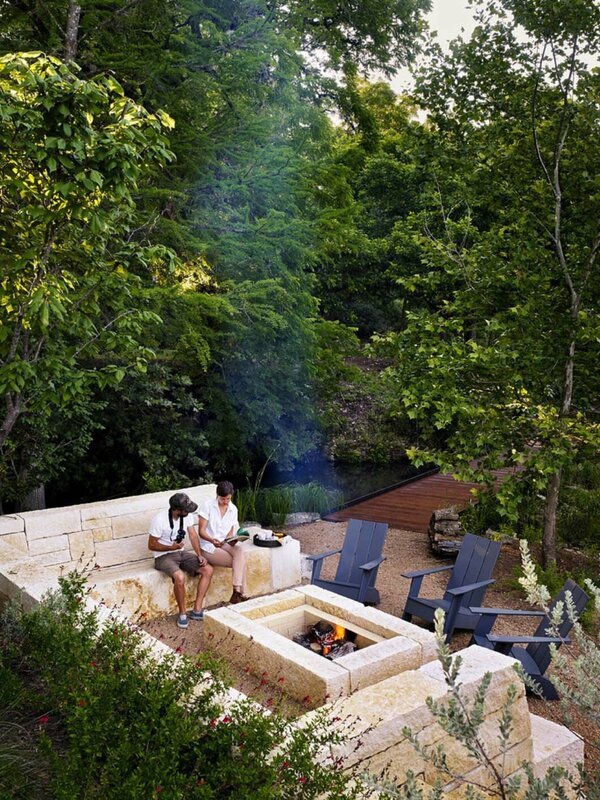 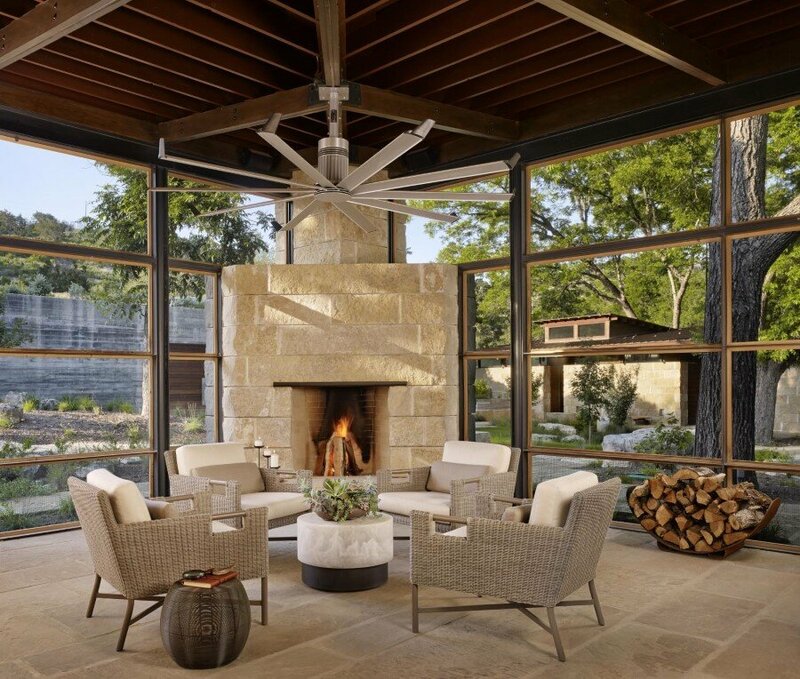 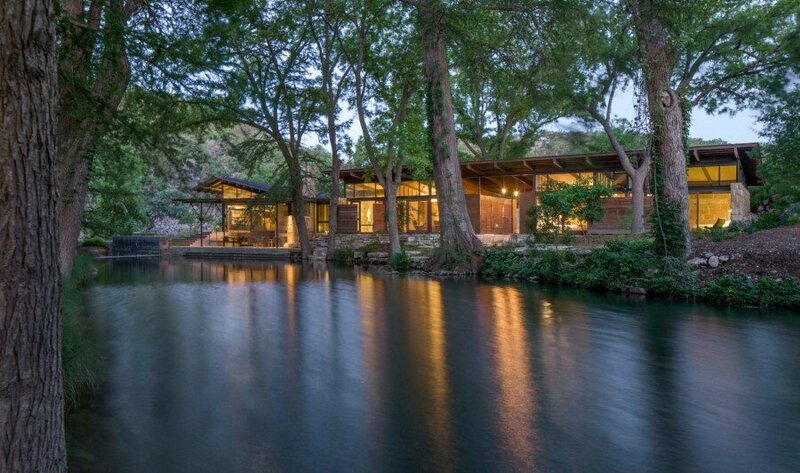 Four structures organize around the site of a 20th century dam, forming a courtyard shaded by mature pecan trees and an intimate connection to cool creeks. 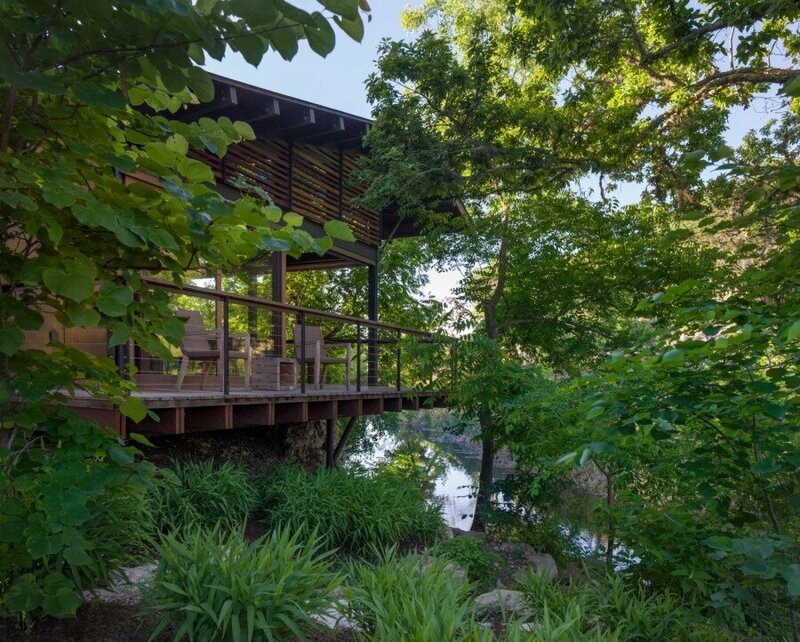 Anchored to the dam, the main living and gathering area provides dynamic views of the creeks and valley landforms shaped by time. 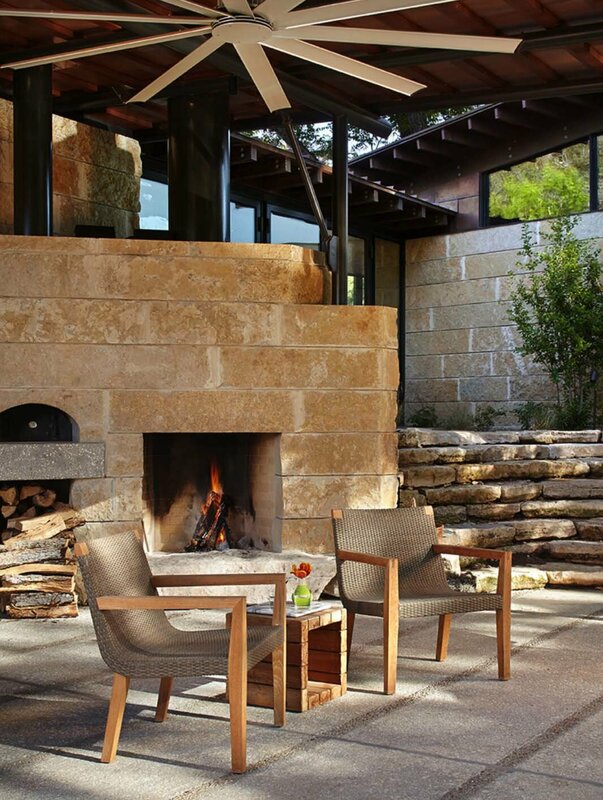 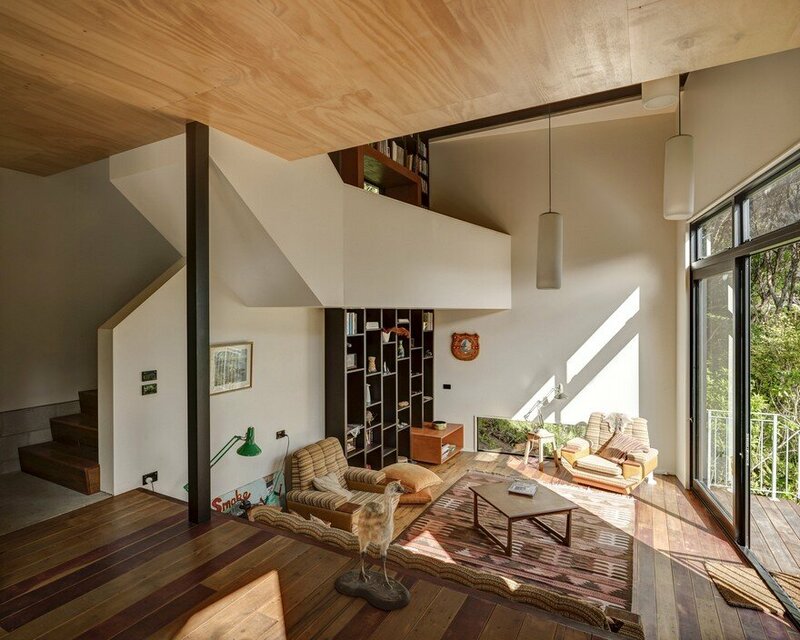 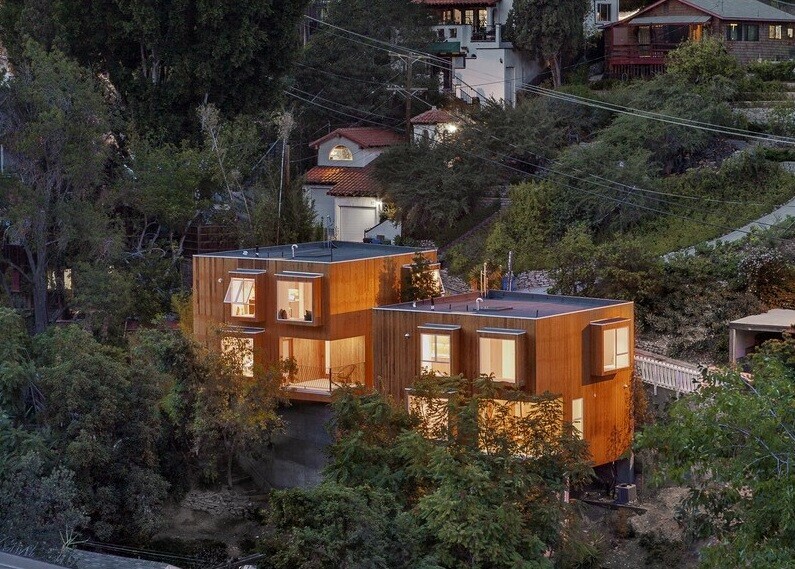 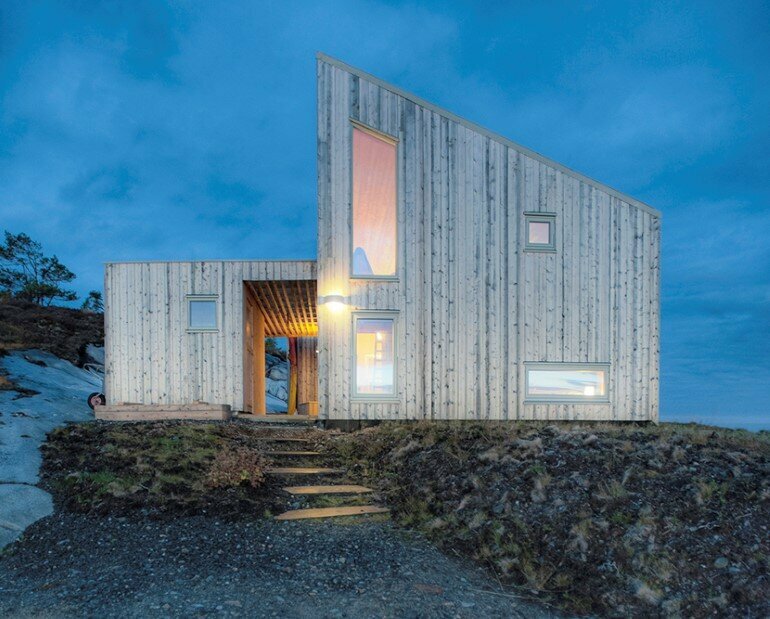 Rooted in its place, interiors respond to the natural environment and merge with the landscape using a palette of regional materials that are tactile and modern. 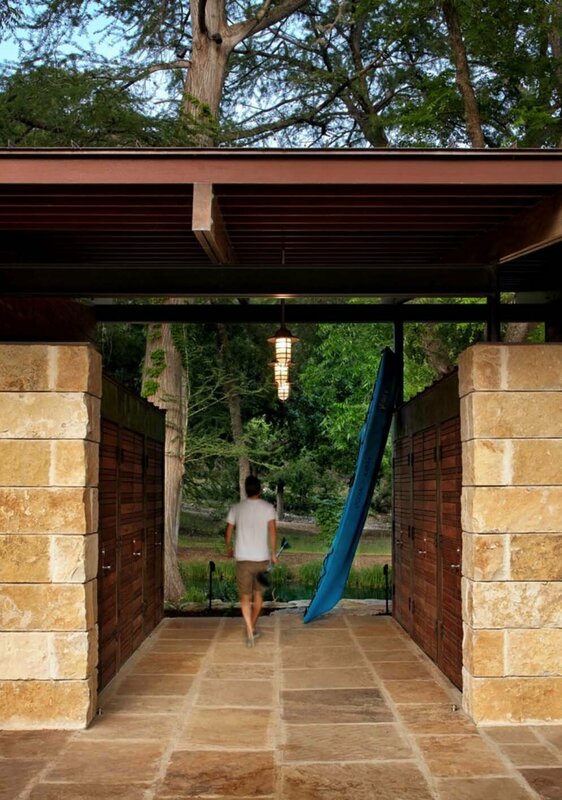 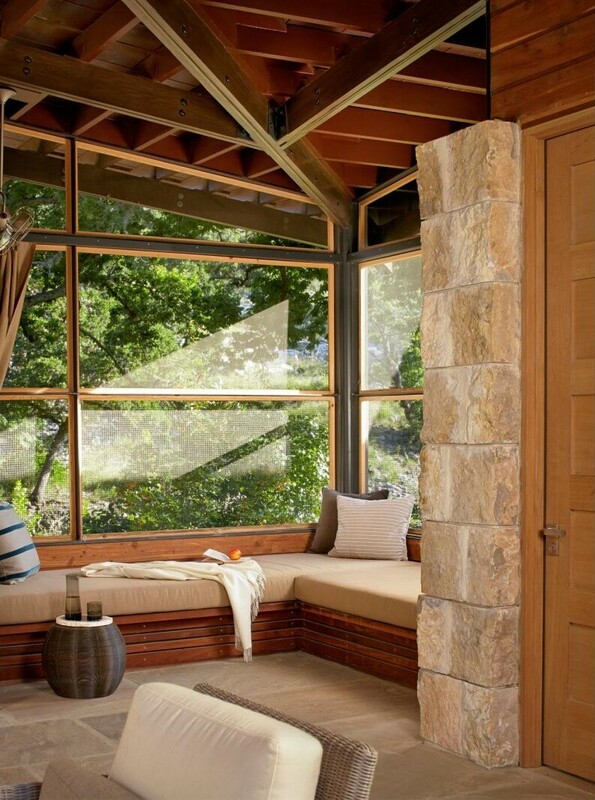 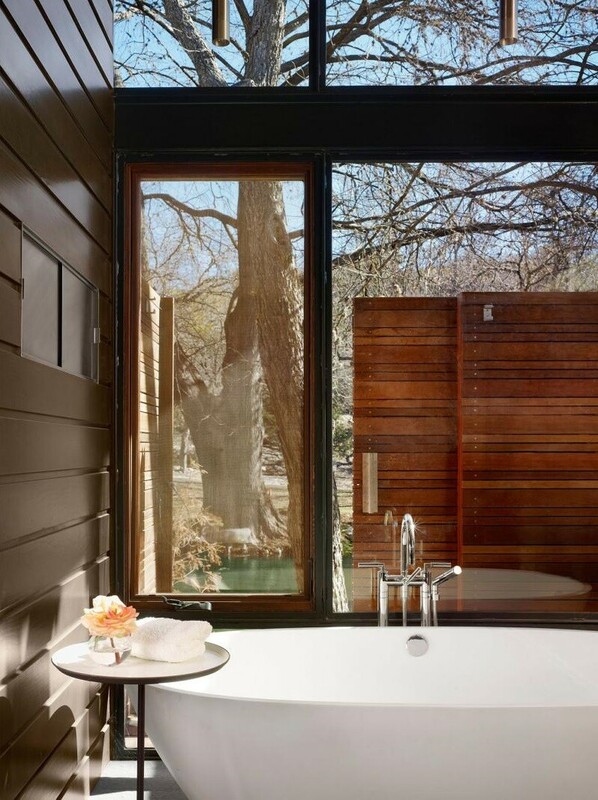 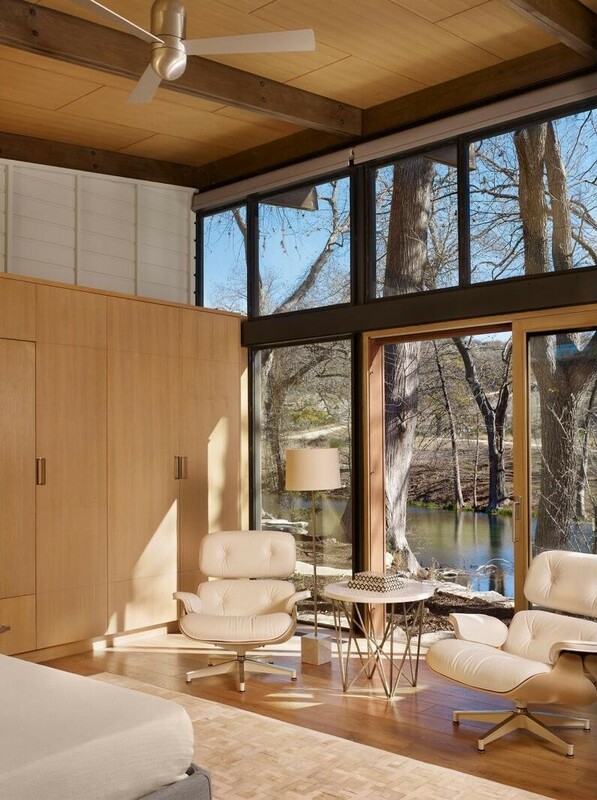 Focused on the main creek and pecan grove, bedrooms leverage two treasures in Texas climate: water and shade. 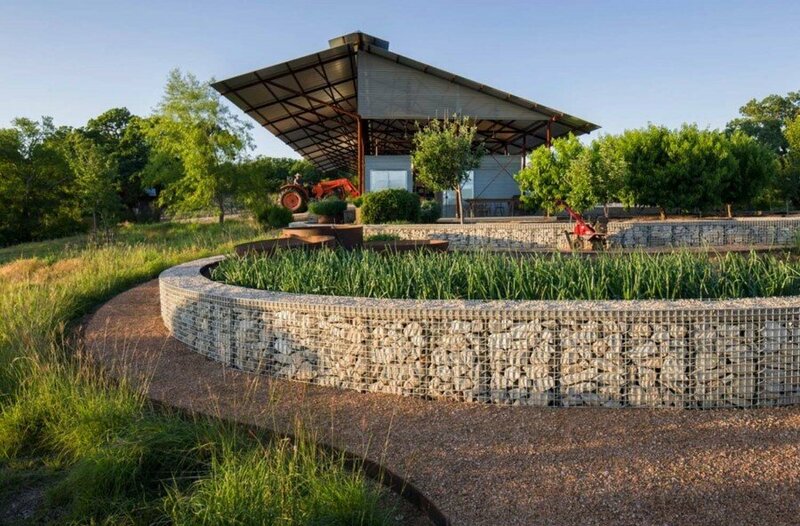 A series of artifacts crafted of locally quarried limestone, steel and glass, Mill Springs reflects the spirit of the original dam.